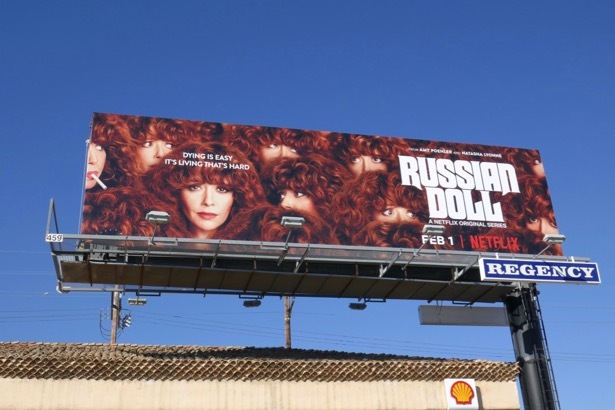 If you're a fan of Groundhog Day and Orange is the New Black's Natasha Lyonne, then you'll love her deathly funny new Netflix comedy-drama, Russian Doll. Set in New York the hard-partying 'Nadia' is killed by a car only to find herself reliving the night of her 36th birthday party over and over, being killed in many different ways no matter how careful she tries to be. Plus it turns out she's not the only one stuck in this twisted time loop of death. 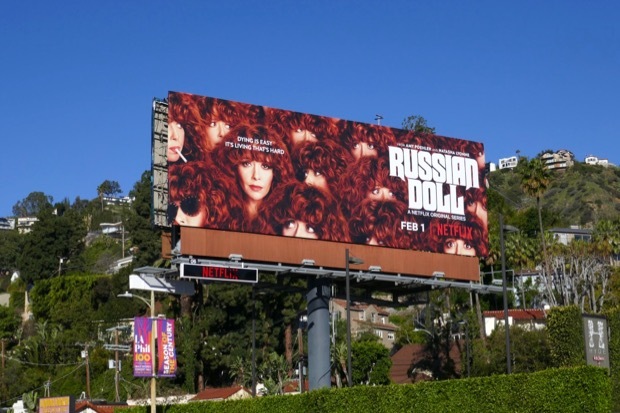 These arresting series launch billboards were spotted along the Sunset Strip, Santa Monica Boulevard, Pico Boulevard and Fairfax Avenue from February 5 to February 8, 2019. 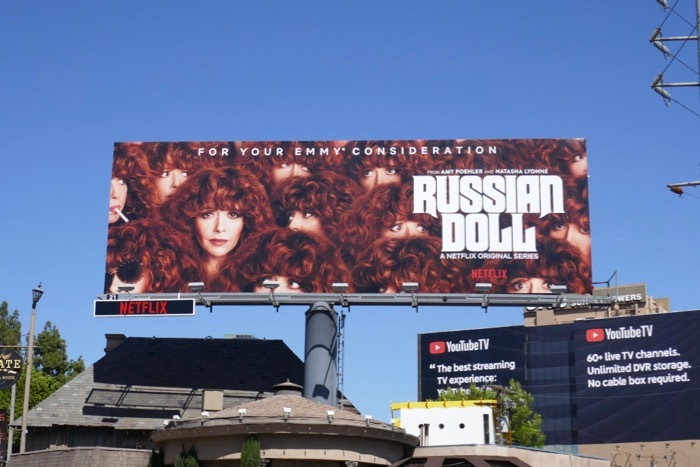 Fans of Natasha Lyonne can also try and spot her in the massive cast in these Orange is the New Black billboards. 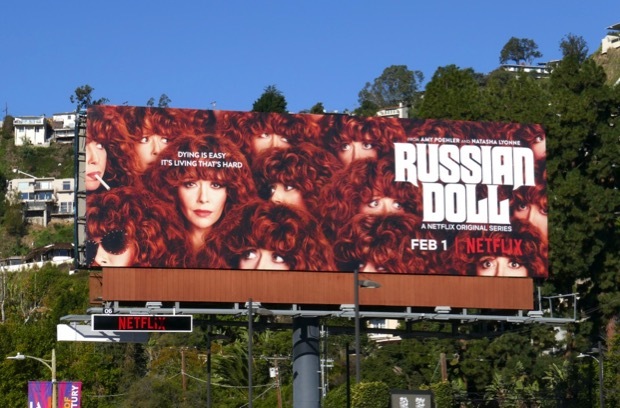 Plus for more time loop shenanigans you can check out these Source Code movie billboards and these Happy Death Day movie billboards. 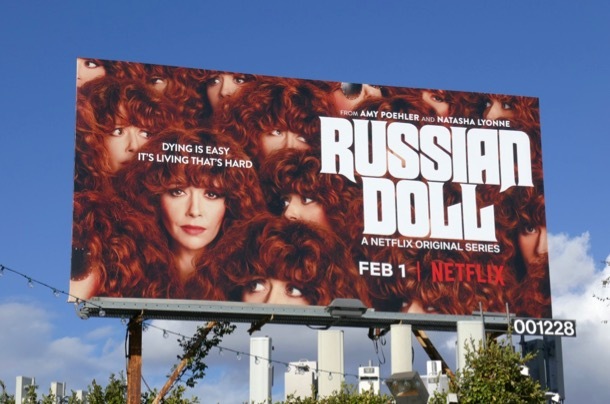 With a short season of eight thirty-minute episodes you won't have to kill yourself to binge this fun new show. 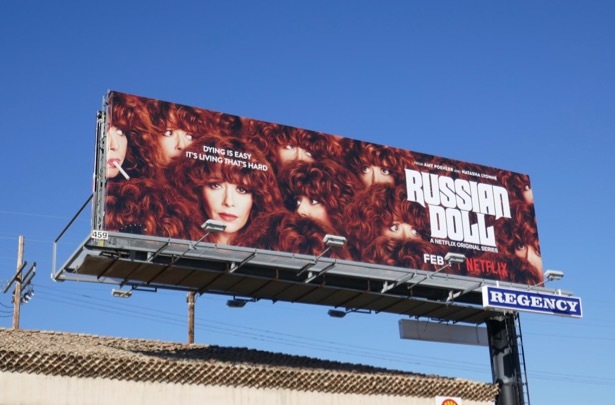 UPDATED: And the winner for first 2019 Emmy consideration billboard in the skies goes to, Russian Doll. 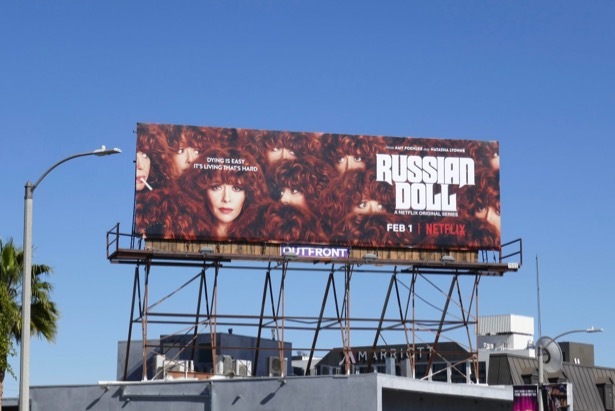 Netflix obviously think they have a critical hit on their hands with this early FYC billboard spotted along the Sunset Strip on March 28, 2019.